Its not been all work. Since the Arctic Slope expedition I have been cave exploring in Austria (twice), Tasmania, Timor-Leste and Myanmar. As guests again of Cambridge University Cave and friends I was privileged to be involved with exploration of one of the most significant cave systems in the world. There are only a handful of caves over 1km deep and over 100km long and one of them is the SMK system near Bad Ausee in Austria. On both these trips I was mainly involved in the ongoing work in Tunnockshaft. Last year I played a tiny part in extension of this part of the cave to around 600m below it’s the nearest entrance (although 1km in vertical range, one does not tend to travel that far from any entrance). Here the cave was found to enter a massive chamber called Kraken and also, significantly intersect a steeply dipping phreatic borehole at this depth. 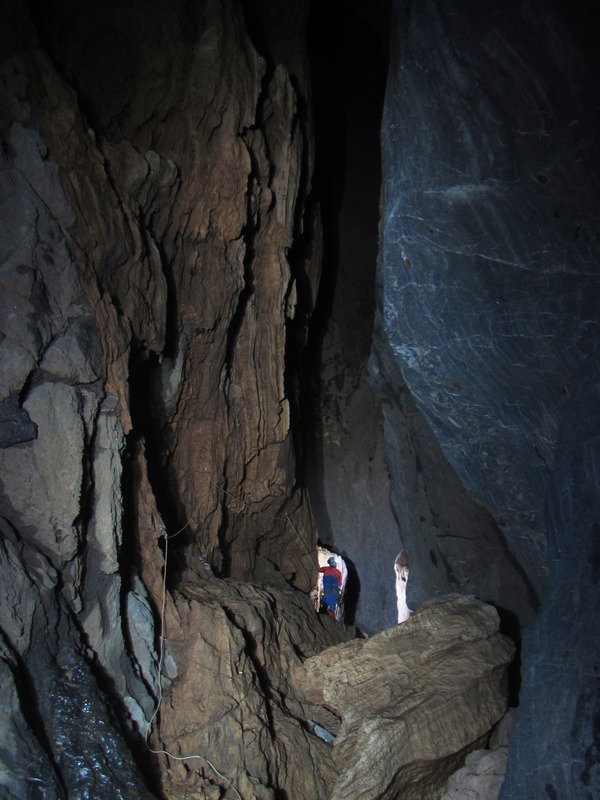 This year a camp was established in Kraken chamber, allowing that borehole to be explored to another 3.5km or more of new cave passage between 600m and 900m deep. My, again minor, role was to do some belaying of a climber ascending an aven 750m underground and contribute to derigging of the lower cave towards the end of the expedition. In 2015 I was also instrumental in pushing beyond “Clayton’s Cockup” in Tunnockshaft. A large shaft in this area which I found in 2013 was eventually bottomed at over 70m deep, leading to another two pitches and still ongoing. The whole route is drafting strongly, and although we did not have the time to return in 2016, hopefully we can get down there and find out where it goes in 2017! I was very fortunate to be one of six people to attend what we believed to be the first dedicated caving expedition to Timor-Leste. The three week trip was extremely challenging in many ways, but as a major step into the unknown, also a big adventure. The country was fascinating, still trying to get back on its feet after decades of war and internal unrest. Access for caving was not always straightforward, but we certainly confirmed the locations of plenty of karst and potential targets for future expeditions. We also explored, in the last days of course, a significant pothole left ongoing at -125m deep. The monsoon sink took a significant draught and was postulated to emerge from the hillside 400m or so below the entrance. However, after an entrance pitch, a smaller drop, and large shaft and numerous smaller climbs and pitches we ran out of time and had to leave the wide open passage with a 60m distoX shot. 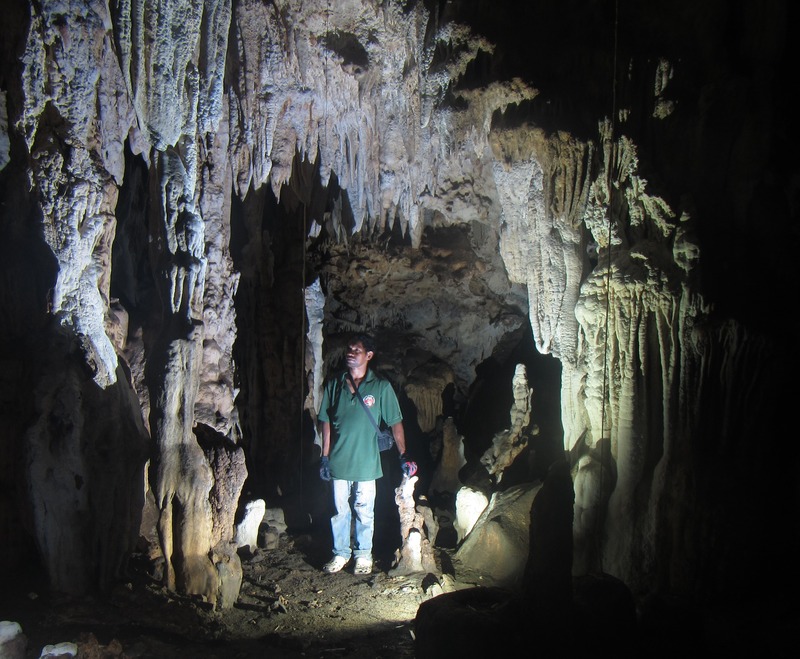 Some Portuguese cavers are hoping to return this autumn to see what lies beyond. Further details of the trip can be found in the Red Rose Cave and Pothole Club Journal. A classic well decorated phreatic passage in Timor-Leste. You can read about our exploits in Myanmar last winter in the article I wrote for the Darkness Below website. On this trip we were delighted to find the new deepest cave in Myanmar. We are looking forward to going back and exploring some new areas of the country this December and January. Near the base of the new deepest cave in Myanmar.